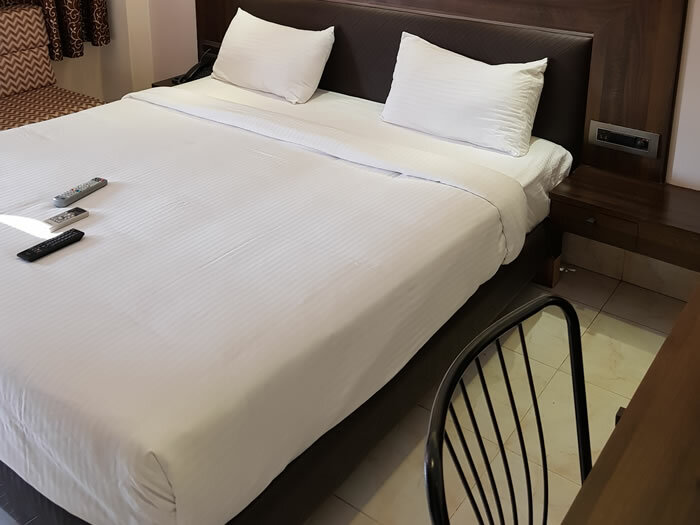 Our Deluxe Rooms are very well furnished with a Double Bed / Twin Beds, fitted with healthy and clean mattresses, pillows and quilts provided with 24 hrs hot and cold running water in the bathroom. 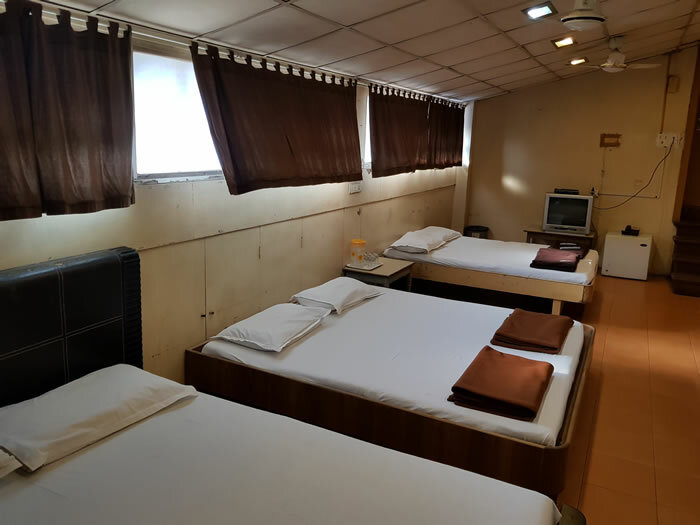 Television with satellite connection, telephone with Local, STD and ISD facility, internet access and mini refrigerator in the room. 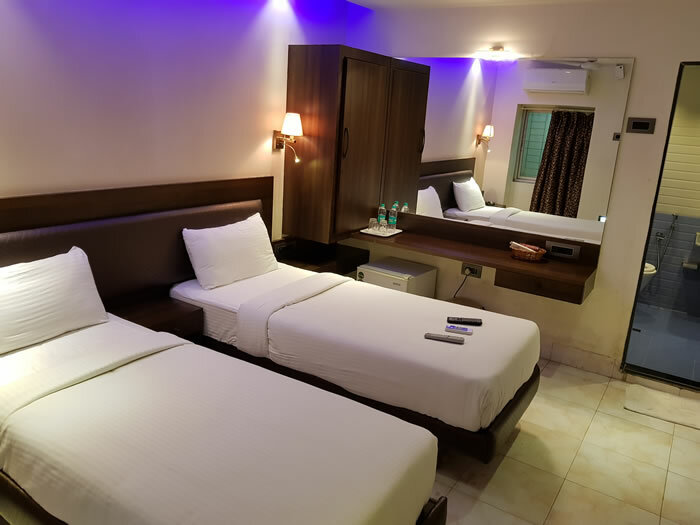 Tilled floor along with wood work on the walls, mirror, work desk and a chair and an air-conditioner makes them an attractive package. 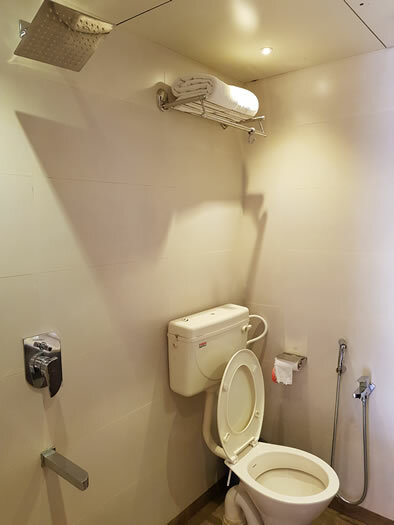 The tariff also includes complimentary breakfast for 2 people. 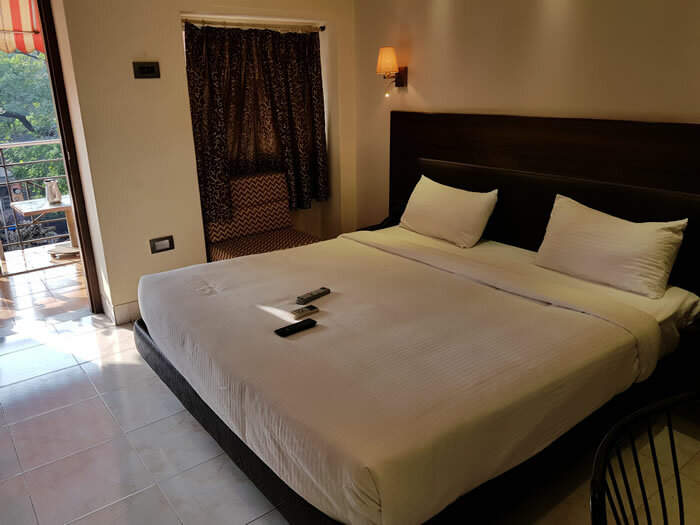 Our Deluxe Executive Rooms are balcony facing rooms very well furnished with a Double Bed , fitted with healthy and clean mattresses, pillows and quilts provided with 24 hrs hot and cold running water in the bathroom. 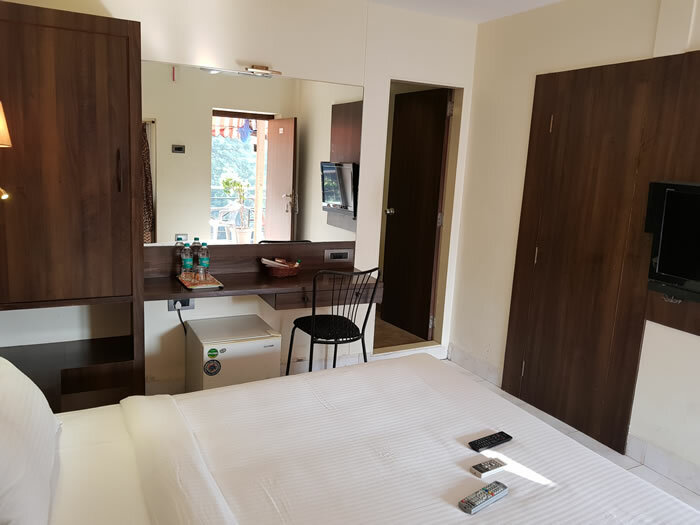 Television with satellite connection, telephone with Local, STD and ISD facility, internet access and mini refrigerator in the room. 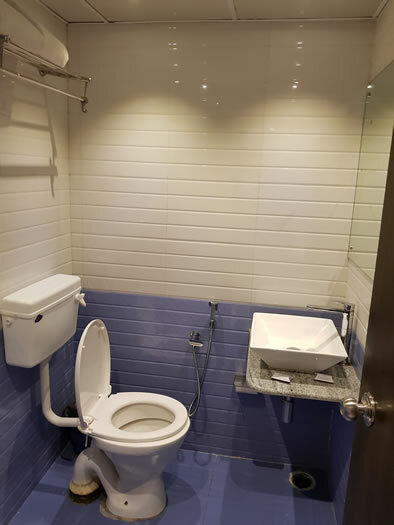 Tilled floor along with wood work on the walls, mirror, work desk and a chair and an air-conditioner makes them an attractive package. 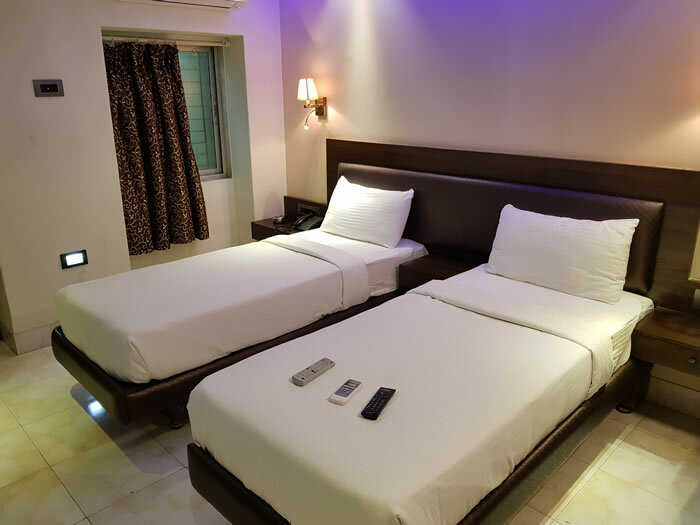 The tariff also includes complimentary breakfast for 2 people. 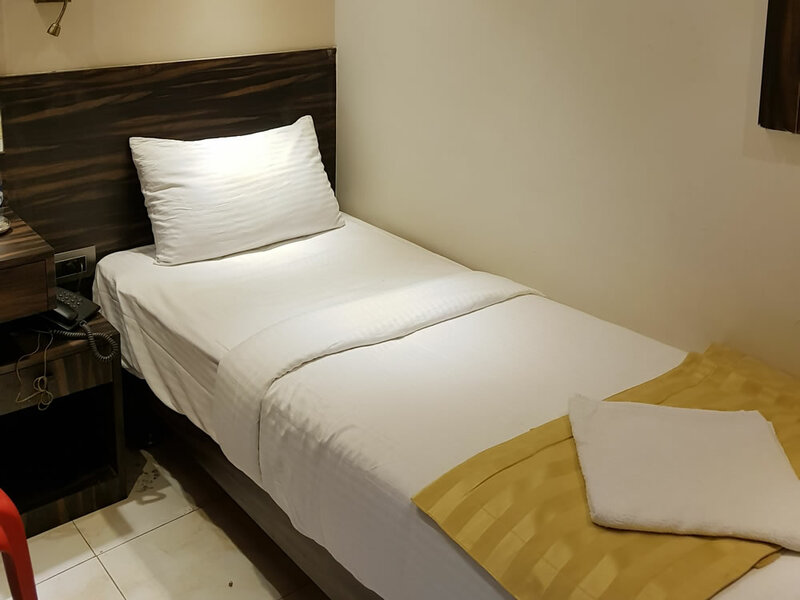 Our Single Executive Rooms are very well furnished with a Single Bed, fitted with healthy and clean mattress, pillow and quilt provided with 24 hrs hot and cold running water in the bathroom. 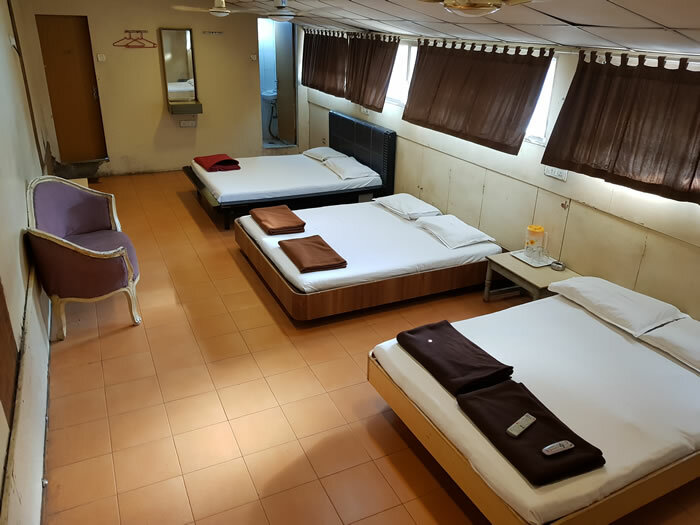 Television with satellite connection, telephone with Local, STD and ISD facility, laptop with internet connection on a chargeable basis and mini refrigerator in the room. 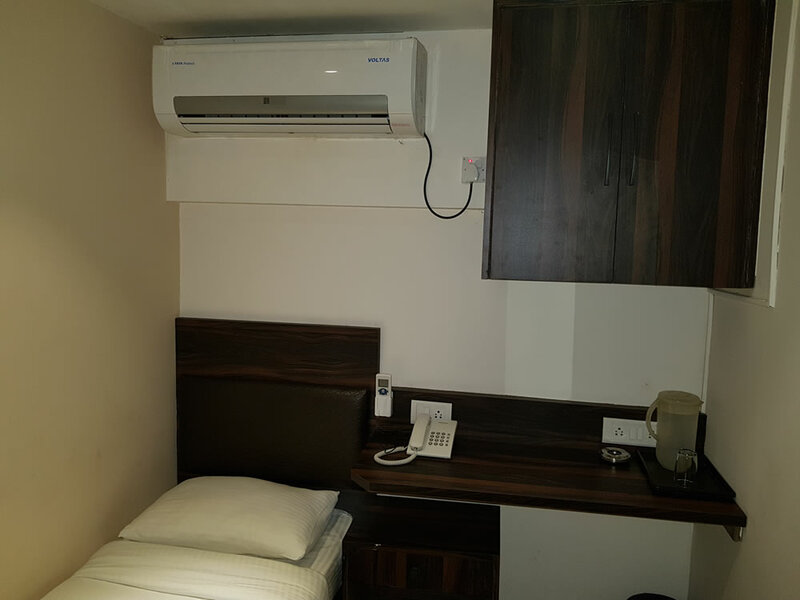 Tilled floor along with wood work on the walls, mirror, work desk and a chair and an air-conditioner makes them an attractive package. 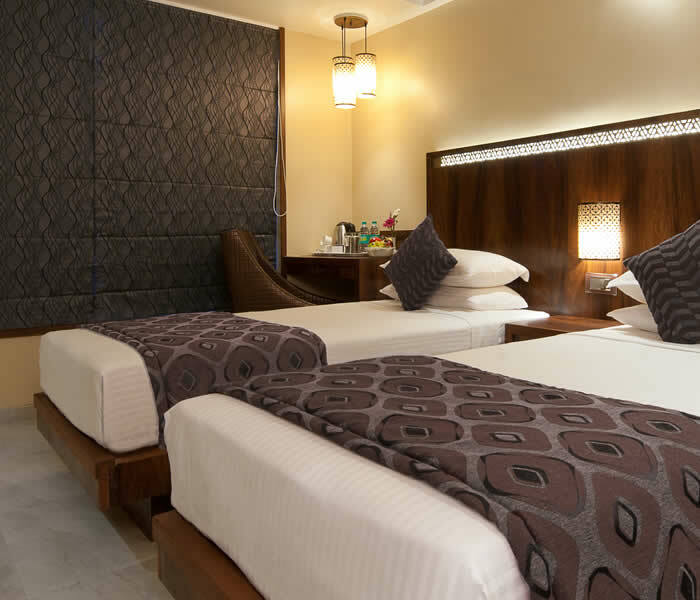 The tariff also includes complimentary breakfast for 1 person. 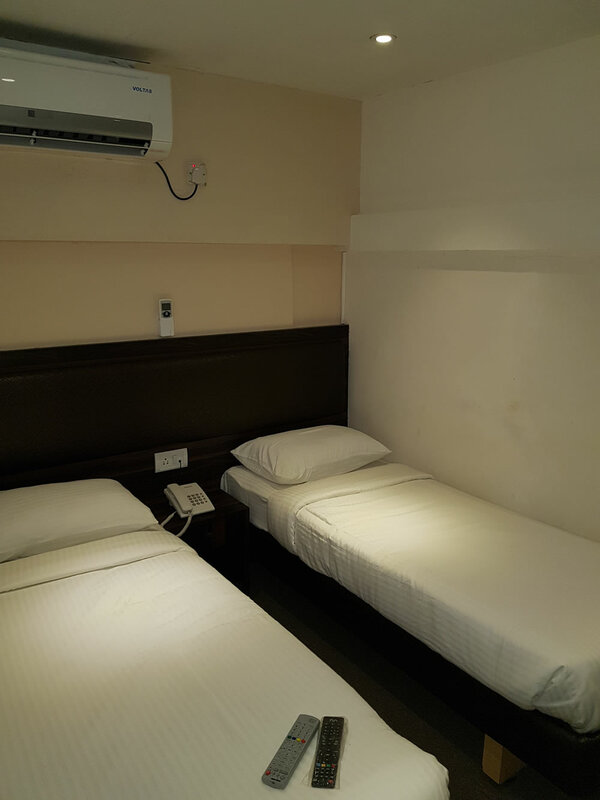 Single room Common Bath has an ordinary decor, and is fitted with basic furnitures, which include a single bed and a writing desk and the facility of common/shared bathrooms that are situated at very close intervals. 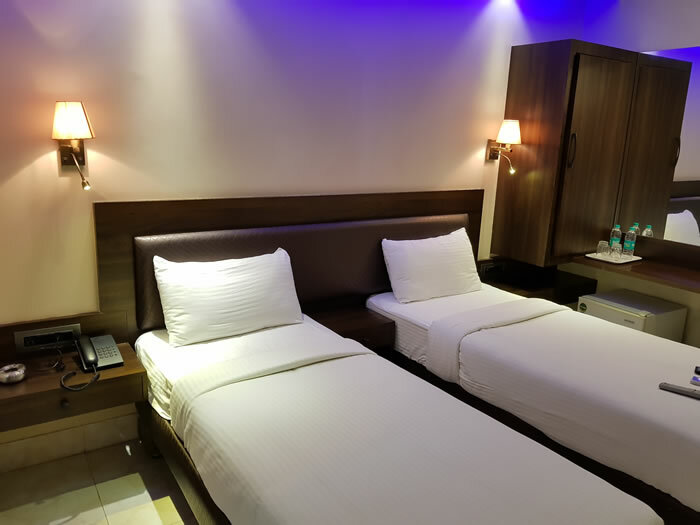 Telephone with Local, STD and ISD facility, laptop with internet connection on a chargeable basis and Room service.